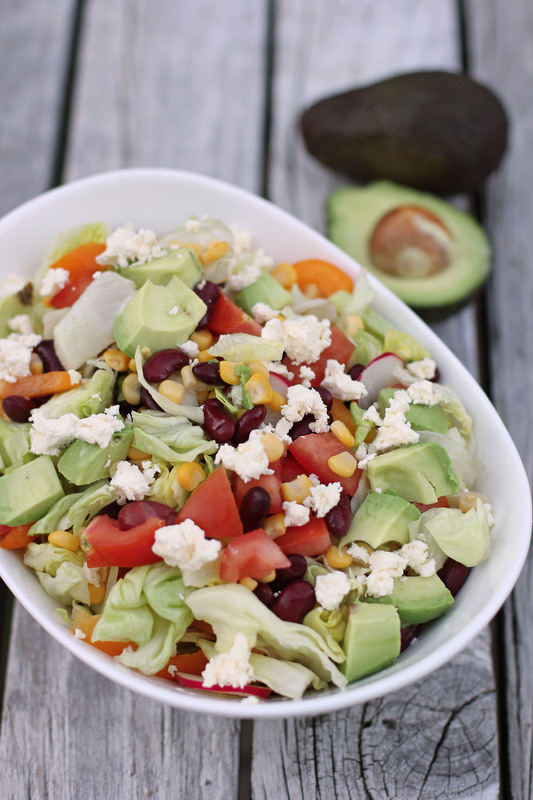 If you like Mexican food and salad then this Mexican Chopped Salad recipe is for you, a great salad infused with loads of Mexican goodness. A simple salad that is made out of lettuce, radish, corn, red bell peppers, feta and kidney beans dressed with Honey Lime dressing. 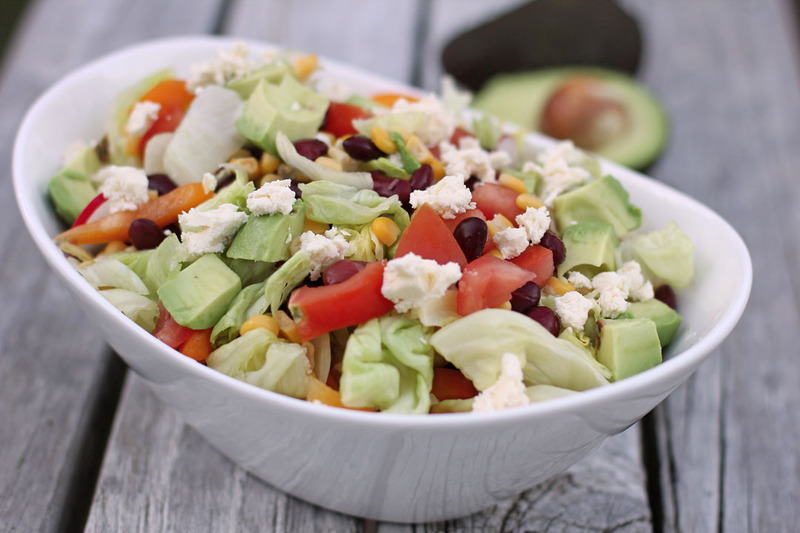 I cannot say lots about this recipe as I only saw this on a magazine ages ago, after I saw it I then immediately thought of making it a home as my wife loves Mexican food and salads. I always remember way back in the Philippines when we have those midnight food cravings she always decide to go to a Mexican food chains to have burritos or tacos, luckily we have two establishments near our place that closes really late at night. A very nice side salad if Mexican style grilled meats or even with Tacos, add some Margherita then you have a party. Combine and mix well dressing ingredients together, set aside. Toss all salad ingredients in a large bowl then pour dressing over. Chopped salads are always so much fun — you can use so many different flavors. And speaking of flavors, terrific combo here — this is truly good stuff. Thanks. This salad sounds so fresh and exciting! Wow!!! Just by looking at the list of ingredients in your dressing, I would know this is good already.